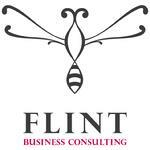 Flint Business Consulting assists senior executives in monitoring their* projects to ensure fruition and satisfaction. *Our clients know why they need a project. We know how to make it a success. We deliver measurable business performance through highly-customized, fact-based and innovative solutions. Then, we build on people strengths and competencies to spur effectiveness, knowledge sharing and creativity.